HyperX is a company famous for making some really great gaming gears and accessories. Their products normally are a sign of good quality. We got to play with the HyperX Alloy Elite gaming keyboard. Which is one of the premium keyboards, with great features. As normally the prices for the gaming keyboards are higher than normal ones, we are finding out, is HyperX Alloy Elite gaming keyboard worth buying or not. I will try to keep the review simple, short and precise. It is based on my 2-3 weeks of usage over gaming and typing. To start with, HyperX Alloy Elite gaming keyboard is a mechanical one. You can remove each key-cap individually with the key-cap removal tool. The keyboard is made up of all plastic except the top bar which is metal – steel and gives the keyboard some weight. The design of the keyboard looks premium with all the RGB lighting. The keys have a kind of sharp edge to give better control. You have the linear-shaped backspace and enter key. One gets a wrist rest along with the keyboard, which is really hard to miss if you don’t check the box properly. The first week I ended up playing games without wrist rest. The wrist rest has a nice texture which gives a good grip. Again in terms of the plastic and rubber used, it is quite good. The keyboard has some special keys on top left and right. On the left, you have keys for brightness level, game mode, & lighting effects. On the right are the media playback keys along with a wheel for volume control. The wheel has linear groovings to give it a grip while rotating it. The wrist rest can be snapped easily to the keyboard. Apart from RGB lights on the keys, the keyboard has a light bar above the normal keys and below the special keys. It also has a USB 2.0 port to connect the mouse or other media devices. The cable for the keyboard is long, thick braided and has 2 USB jacks to power and support data. Overall the keyboard has a very premium finish in terms of looks considering the price and the fact that it’s meant for gaming. So is HyperX Alloy Elite gaming keyboard worth buying in terms of looks? Well, I think so yes, keeping in mind the design and build of the keyboard. Normally people would think that what kind of features a keyboard can have as it is itself an accessory. Well, HyperX has gone deep into researching the gaming experience to make some of the best gears and accessories for the same. To start with, they have directly integrated the famous Cherry MX keys into the HyperX alloy elite mechanical gaming keyboard. So HyperX hasn’t gone into inventing their own tech for the keys, instead introduced an already great tech for gaming in their keyboards. We all know how Cherry MX mechanical keys do justice be it gaming or typing. So I got the Red Cherry MX keys for the HyperX alloy Elite keyboard. The red gives you the least resistance while pressing the key. As it is mechanical Cherry MX keys, the height of the keys is good, so is the travel. As there is the least resistance, one can easily press the keys without making much of a sound. The precision is good as the response from the key press is pretty fast, as it captures it before the keys hit the bottom. I tried playing some action games, some racing ones, and some fighting games too. Overall the experience to play games using this keyboards was really great. Though if you consider typing, then you might need some time to adjust to this keyboard. Also, there is no tactile feedback, so one can go for brown one to balance gaming and typing. The blue ones have the max tactile feedback which is specially meant for typing work with some real key-press noise. The keyboard has some really great color patterns which make the whole keyboard alive. It feels like the keyboard is reacting to your keypress and breathing. Using the software you can make your own modes and feed it to the keyboard memory, so it doesn’t get reset when turned off. 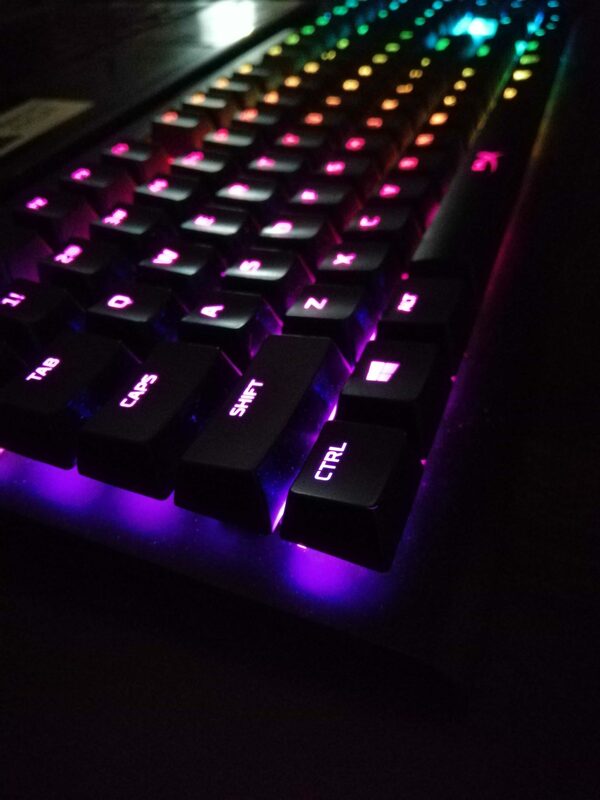 I just love the brightness and modes of RGB color on this keyboard. As for the keypress precision, the keys have anti-ghosting feature and N-key rollover functionality. This means that each keypress gets registered individually irrespective of the others. You also get 8 extra keys – W,A,S,D,1,2,3,4 with some solid metal mesh-like pattern. This helps gamers to quickly get hands on those keys with the touch of the finger. The HyperX alloy elite gaming keyboard is priced for around 12,900 INR for blue and 15,717 INR for brown, red on Amazon. The prices go down heavily on sales so keep the links handy. The HyperX company is famous to make products which are durable, have some great quality and features. To answer the question is HyperX alloy elite gaming keyboard worth buying? 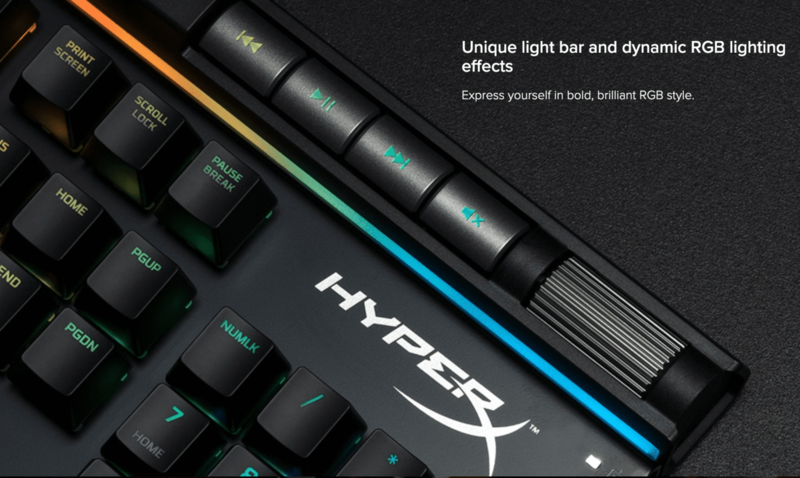 So if you are looking for some really great gaming keyboard, then HyperX alloy elite RGB can really be a great choice if you compare it with near competitors. The precision is great, the design is good, and the quality too. There is no argument when Cherry MX is in picture. It’s more of like connecting with the gaming experience through the keyboard as a medium. Do let me know your views on this review.